When would you like to stay at Peyk Hotel - Check Availability & Room Rates!!! Peyk Hotel located on Peykhane St. Sultanahmet / Istanbul. Are you ready for the experience of staying in Istanbul, amid the valuable heritage of a city that is the brightest rising star of the future? 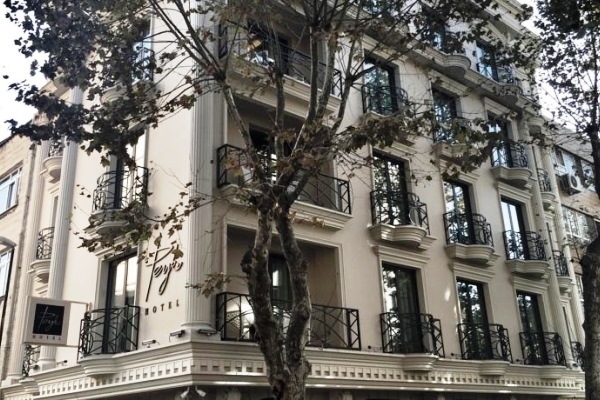 Peyk Hotel will be your host in the heart of Istanbul, Sultanahmet, where Ottoman motifs combine together with modern outlines, where comfort meets elegance in an altogether different concept, and the tradition of Turkish hospitality surrounds distinguished guests like yourself. How far and How long will it take from/to the Peyk Hotel Istanbul from/to International Airports and cruise Ports. Hello! We are a group of 18 persons. We would need airport transfer from Ataturk airport to Sultanahmet area on 23.10 around 10 in the morning. Istanbul Airport Shuttle Sultanahmet Transfer Ataturk Airport Transportation How to get from Sabiha Gokcen Airport to the city? How to meet at Sabiha Airport How to get from Ataturk airport to the city? How to meet at Ataturk airport Istanbul Airport Transfer Is there any additional charge for my airport transfer service? What time should I leave my hotel to catch a flight in Sabiha airport?